The Viking Robotics Club begins work on their SeaPerch ROVs. SHOP, COMPARE & SAVE WITH HUNDREDS OF HOME EXPERTS ALL UNDER ONE ROOF! WHITMORE LIBRARY PROGRAMS – MARCH 2016 2197 Fort Union Boulevard, Salt Lake City 84121 / www.slcolibrary.org / 801-943-4636 Lego Club – Friday, March 4 at 4 p.m.
Great Reads for Girls: Mother/Daughter Book Club – Tuesday, March 29 at 7 p.m. Teen Laser Tag Lock-In Party – Friday, March 4 at 6:30 to 9 p.m.
Great Reads for Girls: Mother/Daughter Book Club – Wednesday, March 30 at 7 p.m. The Rhythmaires Dance Band – Saturday, March 5 at 3:30 to 5:30 p.m.
Whitmore Senior Advisory Board – Monday, March 14 at 2 p.m.
Ages 10 and up. Join us to see what you can create with Legos. We provide the Legos, you provide the creativity! Ages 6-8 with caring adult: This month’s book is “Eva’s Treetop Festival,” by Rebecca Elliott. Please register in advance at the library or by calling 801-944-7539. Ages 14 to 17: Join us for an after-hours lock-in party filled with laser tag, tech gadgets, board games and more. Permission slips will be available starting Feb. 26. Tickets availbalbe two hours before program begins. Ages 8-12 with caring adult: Please register in advance at the library or by calling 801-944-7539. This month’s book is “Honey,” by Sarah Weeks. All ages: The Rhythmaires will be filling the library with the sounds of big band jazz, classic swing, Ages 12 to 17: Love to dabble in art? Enjoy drawing, creating art digitally or making collages? and ballroom dance music. All ages are welcome for an afternoon of music and fun. Then enter Whitmore Library’s Art Contest. Participants will receive a $5 fine waiver. Winners will Henna Tattoos – Saturday, March 12 at 11 a.m. to 12:30 p.m. win a bag of art supplies. See librarian for entry form and/or more details. Adults: Henna powder, derived naturally from Henna plants, is used for temporary tattoos. Tattoos Gotta Move Storytime – Mondays at 10:30 a.m. (March 7, 14, 21, 28) typically last for 10 to 20 days, depending on each person and how often skin comes in contact All ages: Join us for a movin’ and groovin’ storytime of active movement with a storybreak! with water. The best quality Henna paste from India is used. Would you like to help the Whitmore Library improve services for seniors? Join the Senior Adviso- All ages: Everyone is welcome to Zumba fitness classes designed especially for kids! ry Board! Newcomers are always welcome. Storyime for Everyone – Wednesdays at 10:30 a.m. (March 2, 9, 16, 23, 30) All ages: It’s a drop-in storytime for all ages! Join us for stories and FUN! Whitmore Nonfiction Book Club – Wednesday, March 16 at 7 p.m. Join us monthly to discuss new and noteworthy nonfiction books. This month’s book is “The Ongoing Programs Requiring Registration Oregon Trail,” by Rinker Buck. New members are always welcome. Tesla Coil Science – Thursday, March 17 at 6:30 p.m. Teens: Come investigate Tesla coils. Mini Robots – Friday, March 18 at 4 p.m. Teens: Find out all the technology behind mini robots and build a model of your own. Harvest Home: Celtic Music – Saturday, March 19 at 2 p.m.
All ages: Join Harvest Home for a family program of Celtic music and audience participation songs, with limericks and Irish blessings thrown in for good measure. BollyX Fitness: The Bollywood Workout – Thursday, March 24 at 7 p.m. Adults: Experience a Bollywood-inspired dance fitness program that combines exhilarating choreography and calorie-burning workouts with upbeat music from around the world. Ages 3 1/2 - 5: Preschool Storytime is a 30- to 45-minute program. Register in person at the Whitmore Children’s desk or by calling 801-944-7539. Ages 0-3 with caregiver: Wee Read is storytime for little listeners with shorter stories and more action to meet the needs of toddlers and babies. Register in person at the library or by calling 801-944-5739. (Minimum of 100) Must present coupon. Expires 3/31/16. Must present coupon. Expires 3/31/16. C ottonwood H eightsJournal .com . Outstanding Volunteer award. Bracken explained in 2011, the Canyon School District started construction of Butler Middle School. Because of the remodeling project, the electrical issues at the park next to the middle school had become obsolete. During the next three years, Taft was able to meet all of the electrical needs of Butlerville Days, and in 2014, he designed and built a permanent power station and electrical infrastructure. “Butlerville Days may have been cancelled without Craig’s knowledge, skills, hard work and dedication,” Bracken said. Councilmember Michael Peterson presented next with the community history award to Tom Shimizu, who was unable to attend the event. Shimizu has been the chair of the historic committee for the past four years. “His steady direction and influence during this period is shown in numerous exciting accomplishments,” Peterson said. These accomplishments include installing historic markers along the Cottonwood Heights Trail and throughout the city and most recently, hired a historian to research and write the history of the city. Peterson also recognized Jamie Jackson for volunteer excellence as the Butlerville Days chair. “[Jackson’s] talents, along with her focus on not only the present but the future, has made it a tremendous success,” Peterson said. Chad Liljenquist, Carlos Cardon, Rebecca Kitchen, Jamie Jackson, Tom Eatchel and Craig Taft all received volunteer awards from Cottonwood Heights. Some rules apply. 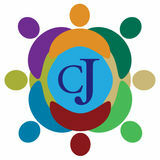 Mention Journal Code CJ3 Schedule Appointment by 3/31/16 for offers. American Board Certified Oral Surgeon & Periodontist. Implants, Surgery, Gum Disease, Crown/Bridges, Dentures, & Cleanings. .
Not valid for those with discount plans or other program offers. Not valid with other offers. Expires 4/30/16. 801-997-5497 1548 E. 4500 S. #104 • Salt Lake City www.myholladaydentist.com . Community and Economic Development Department discusses goals and recommendations with the council. Police Department discusses its goals and recommendations for Fiscal Year 2017.
vendor licenses, solicitorâ&#x20AC;&#x2122;s license, branding campaigns and their very own economic webpage. Chief of Police Robby Russo presented budget recommendations and yearly goals for the police department on Feb. 2. Within the next year, the police department aims to recruit the best possible employees and keep them satisfied. There are five police officers at retirement age, so finding new employees is quickly becoming a priority. In the Utah State Legislature this year, there is a bill under consideration for body cameras to be worn by police officers of the state. In preparation, the police department has been researching what the budget for the cameras would look like. What they found was a price tag of $10,700 initially with $9,100 ongoing every year. This includes the body cameras, storage facilities, batteries and their own line in City Hall. Objectives for the police this year are to continue four minute response times, employee retention, career development, position grooming and special assignments. They are looking toward a 3-D Blitz program to see every officer make it home safely. The Cottonwood Heights Police are looking toward ways to improve the emergency management system for the city, as well as acquiring Narcan (or Naloxone), a nasal spray to use on opiate overdoses. It is described as an EpiPen equivalent, allowing the victim 90 minutes to make it to the hospital. For a box of two of Narcan, the cost is approximately $820. The proposed budget for the police department includes body cams at $91,160, animal control at $10,000, upgrading sergeants at $12,000, victim avocation at $19,000, Naloxone at $8,000 and a VECC (Salt Lake Valley Emergency Communications Center) increase at $3,600. Public Works Director Mike Allen presented for the public works department on Feb. 9. Out of 1,730 sidewalk and crosswalk . police wing, so hopefully weather won’t be an issue for the inside construction any longer. Councilmember Tee Tyler asked when the stone would be up. “Stone is the finish so it’ll be a little bit down the road,” Park said. Sheetrock is expected to be completed during April. Steel and other metals for pre-casting commercial fencing are expected. This type of commercial fencing includes bigger columns and is proposed to be more substantial and provide ease for accident containment. The patterning around the outside walls of the building consists of four colors and two sizes of stone. The pipe drains and floor drains are already installed within the building. The city staff has been talking to Internet providers in search of a 50-megabite fiber connection for the entire building. The council is slightly concerned with how close the building has become to Bengal Boulevard, and they hope to see more of an emphasis on landscaping. They have also expressed slight concerns about the monument sign completion. Signage packages have been called into question, but the team manager has found a package that will work well for instructional signage for the building when completed. The construction crew reports no major concerns moving forward, and the process has gone smoothly. On Feb. 10, Park reported that the electrical fixtures are being put up. They are beginning on the “nitty gritty” of the construction, he said. Windows expect to be put up quickly. He has been working with companies for furniture bids. On Feb. 16, the entire Cottonwood Heights City Council and some staff members attended a tour of the construction site. The council members Mike Shelton, Scott Bracken, Mike Peterson and Tee Tyler, along with Mayor Kelvyn Cullimore, enjoyed learning about the construction progress and the occasional observation. 6360 S. 3000 E., Suite 210 Salt Lake City, UT 84121 . Union Park Avenue to approximately 1651 East, or Mt. View Park. “It is the most commercial part of the city,” with an “enormous amount of traffic,” Butterfield said in introduction. There is a “real concern with traffic and safety. Biking is also a real issue,” Butterfield said. When designing this portion of the proposed road, his group mentioned “safety and aesthetics as primary concerns.” Their suggestions include “landscaping in the median,” street lighting that would create a focal point, designated bus turnouts and “marked pedestrian lanes.” He would like to see problems involving the “suicide lane” solved with a median incorporating designated appropriate turnouts. They would like the street to “feel calm and comfortable, and be able to walk up and down” easily, Butterfield explained. The proposed street for the Commercial District consists of 8-foot sidewalks, 2.5-foot curb and gutters, 5-foot bike lanes, 11foot travel lanes and a 6-foot median. Michelle Koch spoke for the Community District, whose assigned section of the road ranged from Mt. View Park at 1671 East to the Dan’s grocery store at 2029 East which consists of “medium density for residential” and some “low-scale office buildings.” Their main focus was to turn “Fort Union into a main street,” Koch said. The Community District group incorporated a median into its design as well, but it was designated differently because they want “less space to not have light rail,” Koch said. They would like to see a “rise between the traffic and bike lane” to “promote walkability” and an off-set crosswalk (which is shown to be safer because it forces pedestrians to stop in the middle or the crosswalk before continuing on). They “wanted a stopping point in the middle of the street,” Koch said, which would serve as a pedestrian refuge in case crossing the entire road became an issue. The Community District’s proposed plan consists of 8-foot sidewalks, 5-foot bike lanes, 2.5-foot curb and gutters, 8-foot parallel parking stalls, 11-foot travel lanes and an 8-foot median. CALL THE EXPERTS: 801-260-2030 Patrick Marleau, National Hockey League All-Star, Olympic Gold Medalist, and all-time points leader of the San Jose Sharks. Offer good until 3/31/16. Not valid with any other offer, coupon or with emergency service. Valid Monday-Friday. Students explain their science fair project to younger students at Canyon Elementary’s first science fair. Students can build the SeaPerch using inexpensive materials. Limit 1 per customer. Tax not included. Expires 3/31/16. 9445 S. Union Square, Suite A • Sandy, UT 84070 . SWITCH TO BLOCK AND PAY HALF WHAT YOU PAID SOMEONE ELSE LAST YEAR. Visit hrblock.com or call 800-HRBLOCK to make an appointment all across UTAH Subject to $100 minimum charge. Offer valid for income tax return preparation fees for new clients only. A new client is an individual who did not use H&R Block office services to prepare his or her 2014 tax return. Valid receipt for 2014 tax preparation fees from tax preparer other than H&R Block must be presented prior to completion of initial tax office interview. May not be combined with other offers. At participating offices only. Offer period Feb. 22 – March 31, 2016. To qualify, tax return must be paid for and filed during this period. OBTP#B13696 ©2015 HRB Tax Group, Inc.
Join Us in a Complementary Workshop HOW TO PROTECT YOUR STUFF IN 3 EASY STEPS! to do better! If you are approaching retirement, are currently retired, or a homeowner with assets you want to protect, this workshop is for you. et ready for big laughs and unexpected love as Desert Star Playhouse kicks off its 2016 Season with “My Valley Fair Lady: Get Me to the Mall on Time!” is hilarious parody for the whole family, which opened Jan. 7 at Desert Star Playhouse. “My Valley Fair Lady” is a comedic farce full of romance, outrageous characters, and the timeless conflict of East side vs West side. Sparks fly when Jenna Doohickey, a tough girl from West Valley City, enlists the help of nerdy British professor Phineas Philpot, to help turn her into a “proper” lady so she can win the object of her heart’s desire, Freddy Huffington. Aided by their new friend Colonel Flanders, the professor will stop at nothing to merge the worlds of East and West. But will Jenna’s new found propriety be all it’s cracked up to be? Written by Ben E. Millet and directed by Scott Holman, “My Valley Fair Lady” runs Jan. 7 through March 19. The evening also includes another of Desert Star’s signature musical olios following the show. The Salute to American Bandstand Olio will feature some of your favorite songs, with a unique and always hilarious, Desert Star twist! Desert Star audiences can enjoy gourmet pizza, fresh wraps, burgers, scrumptious desserts, and other finger foods as well as a full selection of so drinks, smoothies and a large array of iced and hot steamers and coffees while they watch the show. Food is available from an á la carte menu and is served right at your table. 1. How to protect your retirement income. 2. What your will, living trust & financial power of attorney may likely be missing that can lead to substantial financial loss. 3. How to protect your assets from catastrophic illness and nursing home costs without purchasing long-term care insurance. 4. How to protect your home and avoid nasty Medicaid liens. 5. The hidden trigger in your revocable trust that can trap your money irrevocably. 6. The truth about trusts and why most advisors are unaware of how to use them for your benefit. CALENDAR: “My Valley Fair Lady: Get Me to the Mall on Time!” Plays January 7 - March 19 Mon., Wed., Thurs. and Fri. at 7 p.m. Sat. at 2:30 p.m., 6 p.m. and 8:30 p.m.
4861 South State Street Murray, Utah 84107 Call 801-266-2600 for reservations. of goodies available on the menu help people of all ages “escape to sweet indulgence.” Favorite family recipes and fresh ingredients make the aroma of Auntie Rae’s like that of visiting grandma’s house. “[The] benefits are seeing the happy faces of our customers as they gather with family and friends enjoying good treats and good company,” Potts said. All treats are individually sized and special orders can be made with 48 hours notice. Cookies, pie, cheesecake, root beer floats, parfaits and ice cream cones can make a decision of what to choose a difficult one. Join Auntie Rae in the parlor, family room or library, where you can find newspapers, books, magazines and WiFi to enjoy while satisfying one’s sweet tooth. Birthday parties, tea parties and corporate events can be reserved by calling Auntie Rae’s at 801-679-3925. Visit www.auntieraesdessertisland.com for more information. *Kmart and Sears: Join the Shop Your Way Birthday Club and you will receive a special gift on your birthday. Mine was $10 to spend in the store. Plus, when you register your kids, they’ll get $5 in birthday bucks, a birthday crown, happy birthday certificate and a birthday fun pack. *Famous Footwear: Rewards members receive a $5 gift card. Last year that bagged me a free pack of socks. *Red Robin: Receive a free certificate for a burger for your birthday. *Noodles and Company: Sends you a certificate for a free bowl of noodles. *Ulta Beauty: Sign up for the Ulta Rewards Program and get a special birthday surprise. Last year mine was an exclusive lipstick that sells for $18. *Shula’s 347 Grill (West Valley City): Sends a complimentary entrée with the purchase of an entrée of equal or greater value. *Sephora: Get a FREE gift from Sephora on your birthday. Last year mine was a beauty product valued at $25. *Aveda: Join their birthday program and receive FREE exclusive offer on your birthday. Last year mine was a bottle of an essential oil. *Victoria’s Secret: Sign up for emails and receive special gift for your birthday. In past years this has been a $10 gift card. *Kohls: Sign up for YES2YOU rewards and get a $10 Kohls gift card for your birthday. of our new garlic knots! oddlers and raccoons are eerily similar. They eat food off the floor, have nuclear levels of energy and they’re very clever, without having a shred of common sense. When I learned my daughter was expecting her first child this spring, I thought she should practice by raising a raccoon. Here’s my advice. When holding your little raccoon for the first time, you’ll be awestruck. You’ll touch her tiny fingers, gaze into her dark brown eyes and sniff her furry head. She’ll cuddle into you and all will be right with the world—for about seven minutes. Then she’ll get hungry, and stay hungry for nine years. As you’re breastfeeding, you’ll feel that wonderful bond between the two of you, the love flowing and “$#*&!! !” Do not punch your baby raccoon in the face when she bites you. As your little raccoon goes from crawling to running away from you at the store while stuffing candy in her mouth, you’ll wonder if you’ll ever stop being tired or ever spend another moment not worrying. The answer is no. FOR YOUR FREE ESTIMATE . 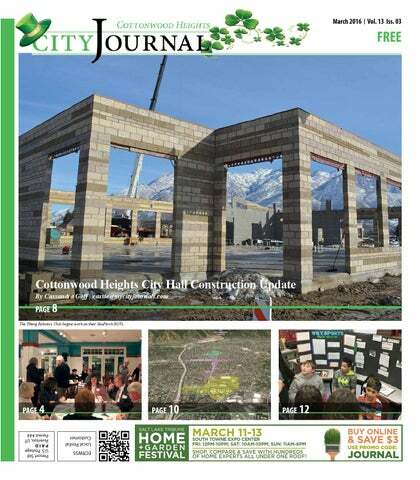 March Edition of Cottonwood Heights City Journal. Update on new city hall construction and more Cottonwood Heights city news.